In everyday life our medium of transportation is often a critical factor in deciding the entire journey. In some cases a journey is not even possible simply because the transportation is not available and/or viable. At DC Charter we understand the importance of transport services and strive to deliver the best vehicle and service to our clients. DC Charter specializes in providing coach buses for rent. Other than coach rental and we also provide other vehicles such as SUV’s and sedans. Coach Transportation is something people usually do not inquire about every day and often new clients who are looking rent coach bus are unsure of where to start due to a lack of knowledge and information. At DC Charter we have a wide range of vehicles in our fleet of coaches, buses and luxury coaches for you to choose from. Motor coach rental can be a little tricky or at the least a confusing decision to make yet with the information available at DC Charter you’ll be well on your way to making an informed and calculated decision about the transportation you choose. This is an important consideration for most clients however the best way to save money is to select a product and service which accurately caters to your needs. for example if you have a group of ten people you could look into picking up a minibus, a small coach, a small luxury bus which accommodates slightly more than ten or even a limousine. All these options will not only be different in their per hour rental rates but also in terms of fuel efficiency and drivability. It would work out better to get a limousine if you are travelling within the city. Whereas if you plan on travelling longer distances with your group it may make more sense to go for a luxury minibus which will also provide a very high level of comfort but will come with the added benefit of being tuned specifically for long hours on the highway, higher reliability, better fuel efficiency and a much better travelling experience in terms of comfortable personal seating, personal in-seat entertainment and a better view from within the cabin for all passengers. Bus services at large, setting aside the high end luxury coaches, offer clients a bigger bang for their buck. Transporting more passengers per vehicle significantly reduces the per-person transport cost and also increases efficiency in planning the overall tour. Coach bus prices do vary with the type and size of the vehicle though our aim is to provide a solution that will fit every budget. Businesses can significantly benefit from our motor coach bus services. With our vehicles providing services at all three of the main airports in the DC area we can help out with transporting people from Washington National Airport(DCA), Dulles International Airport(IAD) and Baltimore-Washington International Airport(BWI). Our vehicles can help in transporting people from the airports to their respective accommodations and vice versa. You can also avail our services in order to provide your clients transport from their accommodations to their work places. You can provide us with your requirements and we can create a plan customized to your requirements. For local schools, foreign exchange students, and foreign schools who maybe visiting the Washington area, our services can come in handy as compared to public transport. With our vehicles and drivers all you need to do is work out where you want to go and what you want to visit, our crew will take care of all the variables involved. With top grade navigation systems and experienced drivers, DC Charter can get you where you want to be with the least amount of hassle involved. With young passengers, and especially with a whole group of them, it can be challenging to keep things in order. Having a single vehicle or multiple vehicles from our fleet, you can be sure your luggage and passengers are safe from mismanagement, saving you time and money and giving you peace of mind at the same time. Often we have organizations who wish to provide their clients or employees a group tour. For example if you wish to take your clients on a tour around the city to show them real estate, locations and the existing infrastructure all you need to do is tell us where your group wants to go and we can take care of the rest. You can be assured that our services will go according to your plan and needs; our teams can always provide you with their input and experience and maybe help you streamline your tour even further. For many people including local residents and out of state or out of country visitors a rented bus service can work out to be a very resourceful investment. Our vehicles cover a massive area and we provide services across several cities. With a single service provider such as DC Charter you can make life easier by making reservations with us for all the locations you need and benefit from our large network, rather than having to hire different vehicles for different places. With a large vehicle selection you can be sure that we will have a vehicle to take you wherever you want to go regardless of the terrain. Weddings are a special occasion for the whole family and friends. It’s a time when everyone gets together and can be made more fun with a luxury motor coach to assist in your transportation. Having everyone on board in one vehicle is a lot of fun and to consider that no one will have to be the designated driver everyone can relax and focus on having a good time. With our friendly crew taking care of all your transportation related concerns, you can have one less major thing to worry about on this celebratory occasion. On the big day for the special two who are getting married we can provide limousine services to make the accession even more memorable. 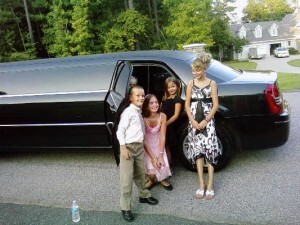 Our selection of limousines can accommodate up to fifteen people so the bride and groom have plenty of space to take their best people with them on the limo ride. More often than not, visitors are not very familiar with local transport or local road regulations and conditions. Rather than having to tailor your trip according to the locally available transport, or having to go through the lengthy process of acquiring a license which will permit you to drive locally, a rented vehicle with a driver is a very attractive option. 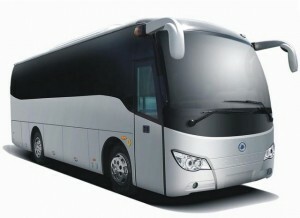 With our competitive coach bus rental prices you can be sure you are getting luxury and economy. You don’t need to worry about anything related to the vehicle or transport in general, with the help of DC Charters’ services the only thing you need to focus on is having a good time.